Joe is from Newnan, Georgia. In 2008, he graduated from Valdosta State University with a B.F.A. in Theatre Arts Performance, and he has worked as an actor, improviser, voice-over performer, and writer. 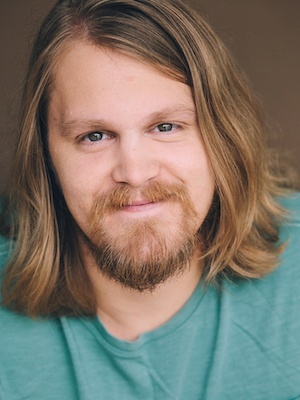 Joe has been training since 2012 at the Aquila Morong Studio for Actors, specializing in the Stella Adler and Sanford Meisner acting techniques. At the studio, as well as working on stage and on set, Joe has had the opportunity to work with and learn from industry veterans including Clint Eastwood, John Goodman, Michael Chiklis, Laura Dern, Taraji P Henson, George Lopez, Jim Caviezel, Alfred Molina, W Earl Brown, Thomas Sadoski, and many more. He has also trained in sketch and improvisational comedy at the Upright Citizens Brigade Theatre. Joe has been working as an acting coach since 2016. Film Credits: When the Game Stands Tall, Trouble with the Curve, In My Dreams, A Good Day to Die Hard, TV Credits: Catch 22, The Resident, Halt and Catch Fire, Nashville, NCIS: New Orleans, Battle Creek, and Hart of Dixie. Stage credits: Above The Fold, Hamlet, and Sunday in the Park with George.